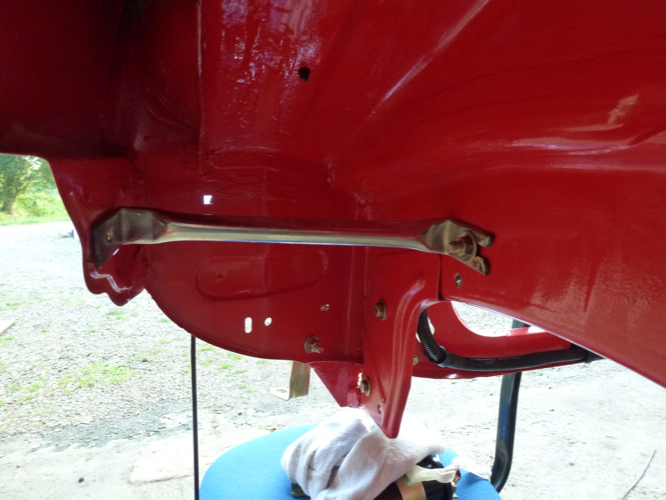 Here is a pair of my front bumper corner bars, or Counter Leaf brackets as Peugeot preferred to call them. The original items were painted mild steel and were prone to rot at the ends where the bolt sits, or at the bent corner due to accumulated road muck. 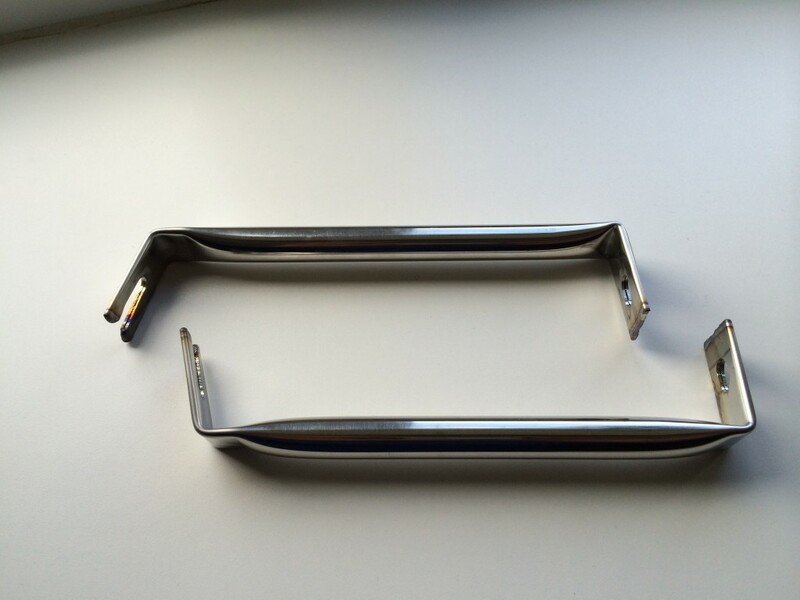 These corner bars are made in-house from marine grade 316 high nickel stainless steel. The fixing bolt for the other end is supplied with my bumper spacers, or available on request with a pair of counter leaf brackets at £1 extra per pair. The ends once pressed, bent and machined, are TIG welded across the pressed end to seal it. The price is £50 per pair including post within the UK. Shown here fitted to a customers very clean restored car.